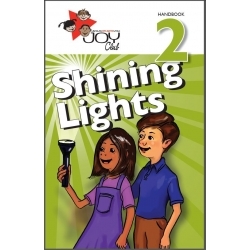 Upon completion of the Entrance Test, each club member is given a handbook which corresponds to the year that he or she is in at school. 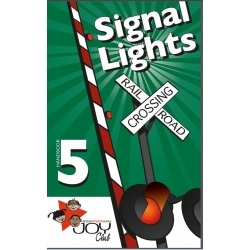 The handbooks explain the work that club members are required to do to earn awards. 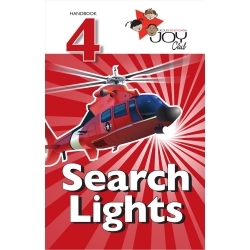 Each handbook has four sections, and each section earns a particular award. 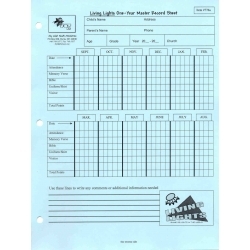 This single sheet provides individual tracking of a clubber's attendance, memory verse, bringing Bible and visitor for every meeting of the year. There is space for recording comments or additional information as needed. 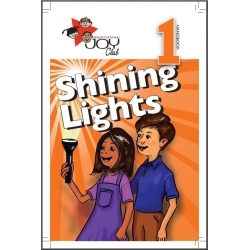 All new children in the Living Lights program (grades 1-6) receive an entrance folder when they register. 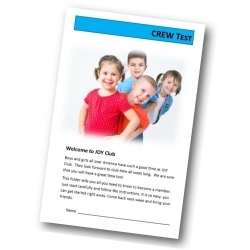 This is an initial test folder which introduces the club program to the clubber and his parents. A handbook is given upon completion of the entrance test. This patch is earned upon completion of Handbook 1 Section 2 (Weekly Bible Verse) of Shining Lights, Search Lights, and Signal Lights. 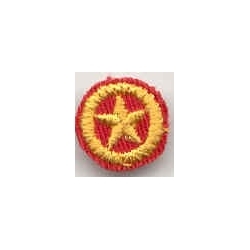 This pin is earned after completion of the Living Lights CREW Test. 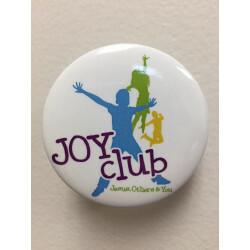 The JOY Club logo used on the pin is the one pictured. 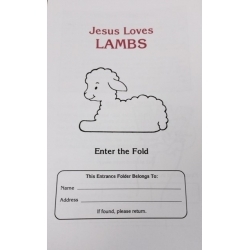 The Lambs Entrance Folder, "Jesus Loves Lambs," introduces the children and their parents to the Lambs Club and gives some basic rules for the club. All new children in this age group start with this Entrance Folder. 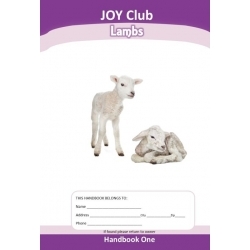 After completing the Lambs Entrance Folder, all new children begin the Lambs Handbooks. 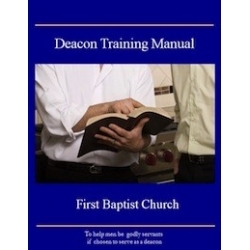 There are three newly revised handbooks, each with five sections with five units of work. 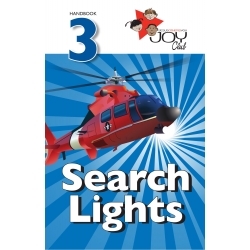 The handbook contains pictures to color, puzzles to do and verses to learn.